Blogs Back Up means copying all data in a secured place where you can use copied data later by restoring it if anything happens to your blog. The good thing in Backup is vast. It goes without saying the complexity on blogging is growing day by day. You don’t have any security that you can save your online data permanently. So no backup means you are pushing yourself on uncertainty. And you should not trudge on this road because there comes a time when you will surely regret you did not back-up your blog. The articles that you have written are important. They are the products of your patient toil and desire to write and influence over the net. And you have to make sure that you have a proper back up of everything because they will serve as antidote for any problem that may arise in the future. This is, as what I have said the uncertainty online that I am talking about. You should back up always and I will explain to you below how to do this. We spent sleepless nights just to come up with a great post then one day our years of hard work will just be gone! 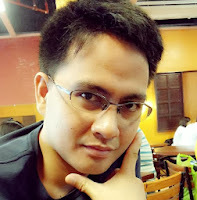 In this posts I will tackle why and how we should take backup of our blog posts and data. Why We Back Up Blogs Data? Earlier Google penalizes a blog by degrading page rank or ban from search engine, But now Google deleting any blog without any prior notice as penalty. More often for spam, Black Hat SEO practice or Copying articles from other sites. So you should always make a copy of your blog posts offline to secure your time and effort behind your blog. If your site is on paid hosting site then don’t think your data is secure. Because server can crash anytime and you will lose all of your data at once. There are some free web hosting server also provide hosting service which don’t offer any data backup service, in this case you must keep a backup of your blog every day. Hacker are always active to bout or attack your blog if your blog is valuable to them. Mostly higher rank blog affect by hackers so you should take backup regularly. 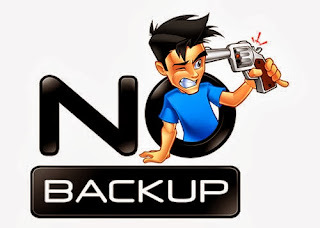 In blogspot we have to take backup manually but in case of WordPress there are many plugins where you can use to take your blog backup automatically. Virus and malware attack is very dangerous for blog user because Google may delete your site if your blog infected by malware. It happen in case of installing new Code or script. If you experience installing some widgets that has hidden viruses or malwares google may delete your blog if they find it harmful, so choose what blogs you should get widgets and scripts. We can take a backup of our blog easily. There are 2 method you can take backup of your blog. Just you have to go through some easy steps. Step 2 Go to your Settings-> Other tab. Step 3 Click on "Export Blog" then your blog XML file will save. Step 1 Go to http://google.com/takeout and log into account with your existing Google account. Step 2 Now click on Choose services tab from the top. By Google takeout service you will be able to take your blogs all data separately such as blog, image, Google Plus, YouTube and many more. Not: If you have other ways to back up your files and posts please share by commenting below.